The strategy of the challenge was simple. As Freddie systematically refused nearly every single vegetable, his mother was going to introduce him to the entire alphabet of vegetables cooked in a variety of original and tempting ways and post the results - successes and failures on her blog. And so began a delightful exploration of the world of vegetables. 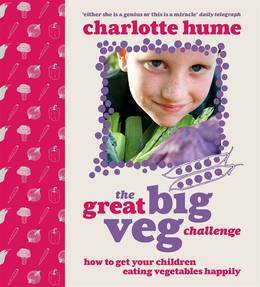 From artichokes to zucchinis, broad beans to yams, every aspect of this family vegetable adventure is lovingly chronicled in Charlotte's book The Great Big Veg Challenge. As well as being highly practical containing over 100 delicious child-friendly recipes, this fully illustrated book is also the funny and touching story of how a mother changed her son's eating habits for good.